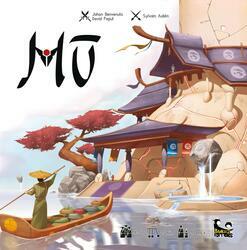 In Mū, you build a city consisting of nine building maps, five types with "source symbols" for military force, faith and food, politics, trade. Each edge of a building map has a semicircle with half of a source symbol on it. if you complete these semicircles, you win the source token of the type concerned, and can deposit this token on one of your projects cards, in order to complete them and activate their effects.